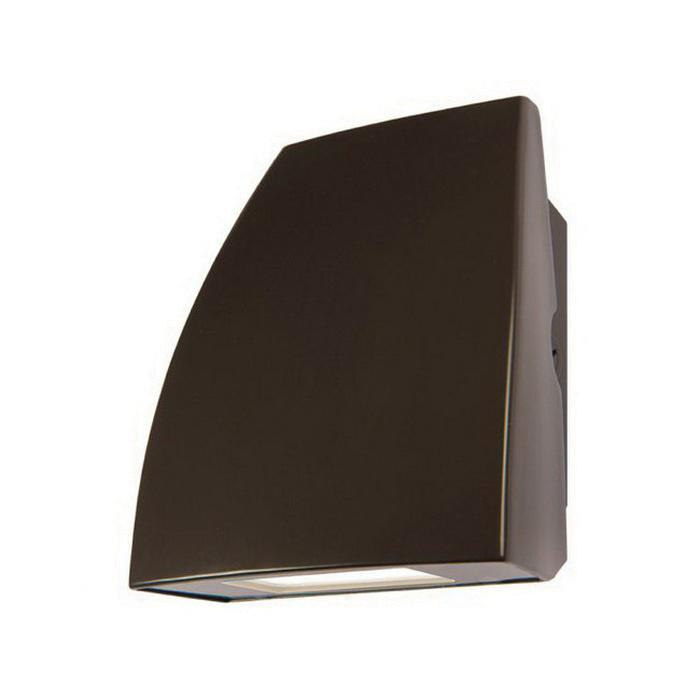 WAC Lighting Endurance™ Fin Collection Wallpack in architectural bronze finish, features die-cast aluminum housing. This wallpack uses 19-Watt LED lamp that has voltage rating of 120 - 277-Volts. Lamp of the wallpack has color temperature rating of 3000K and color rendering index of 85 to ensure optimal light level in the surrounding. Lamp offers 1390-Lumens of bright light output. It measures 7-3/4-Inch x 6-7/8-Inch x 4-Inch. This wallpack has average life of 100000 hours. It offers 20-degree forward throw illumination. This wallpack is suitable to install in all directions. Wall pack is ETL/cETL listed, Energy Star® rated and DLC certified.